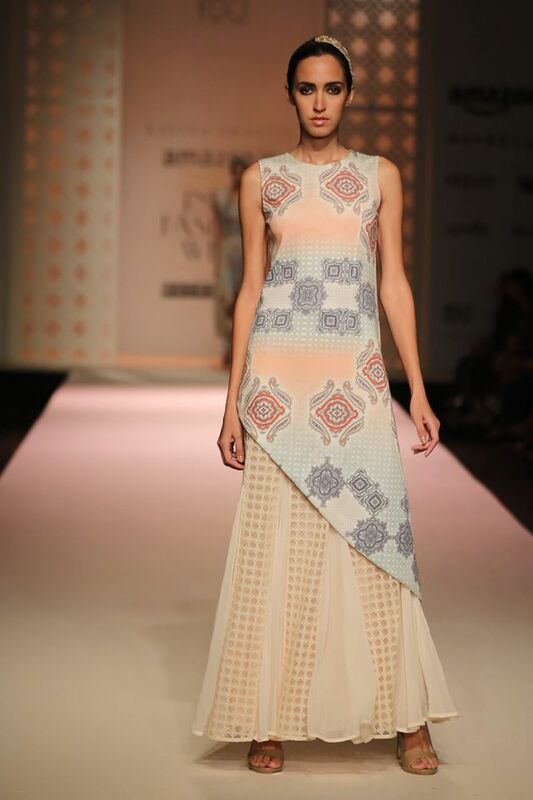 Showing off a stunning collection of pastels in blue, pink, cream and gold accented outfits, the designs by designer Kavita Bhartia are perfect for attending Spring and Summer weddings. 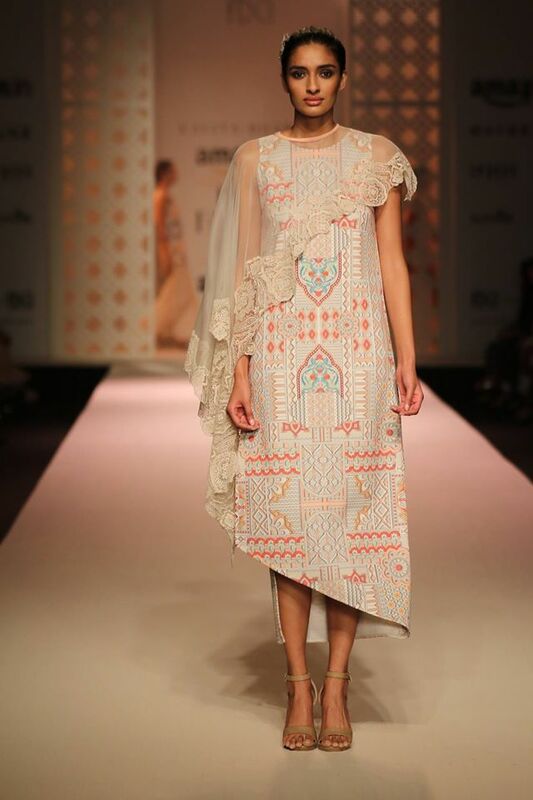 The distinct elements of the outfits include loosely fitted blouses, layered and ankle grazing skirts, and asymmetry. This collection gives a new definition to traditional cool with his laid back feel. 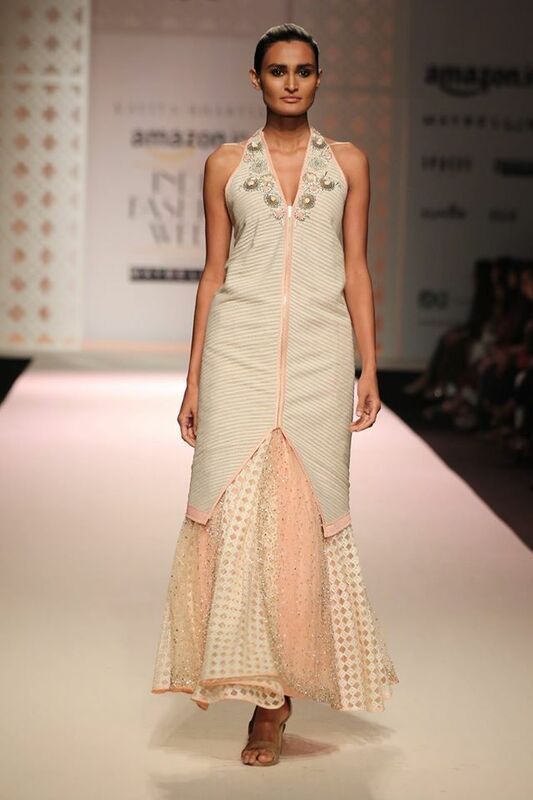 More gorgeous designs by Indian designers to come! Scarlet Bindi by Neha Oberoi. Powered by Blogger.